You may be debating whether it is acceptable to wear white after Labor Day but there is no doubt your kitchen can be dressed in white all year round. 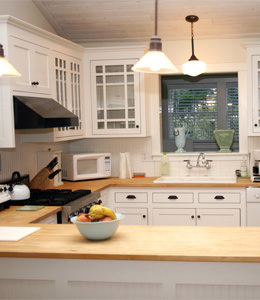 A white kitchen is elegant, classic and versatile. The neutral color may be dressed up with distinctive accessories to easily change the ambiance while still maintaining the crisp, clean, airy experience. White creates an illusion of greater space which is particularly significant in smaller kitchens. Contact ASA Cabinets design team to create an exceptional kitchen for you.